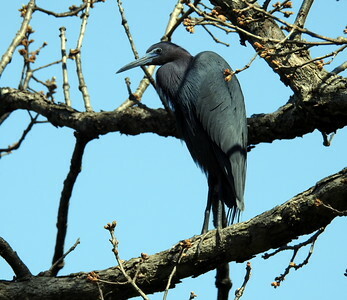 Carondelet Park, is the third largest park in the city of St. Louis, Missouri. 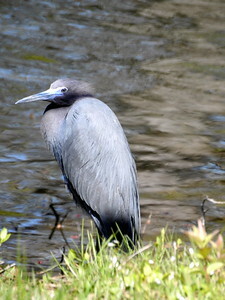 The park contains nearly 180 acres. 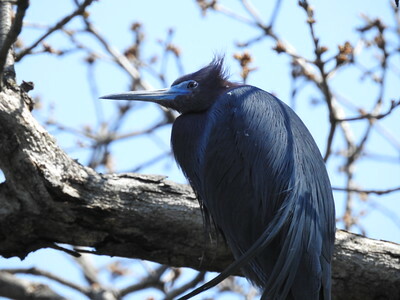 A very nice variety of birds were observed - Northern Parula, Rusty Blackbirds, Ruby Crowned Kinglets, Yellow-Rumped Warblers, Sapsuckers, and the highlight the Little Blue Heron. The Little Blue Heron was a life-bird for me. 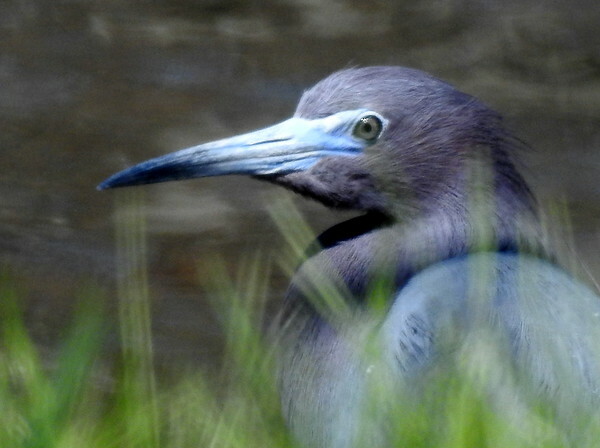 A big thank-you to neighborhood and excellent birder Chrissy who graciously showed me the Little Blue Heron and birded with me in park. 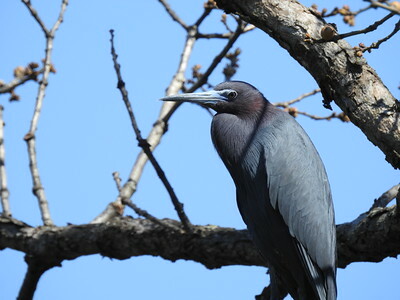 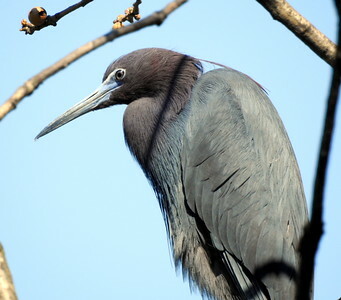 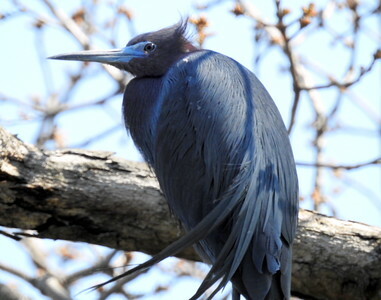 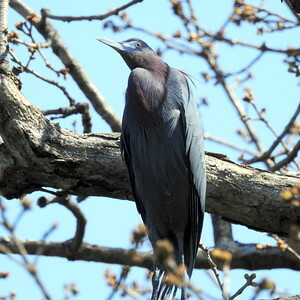 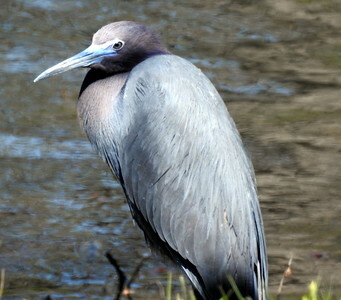 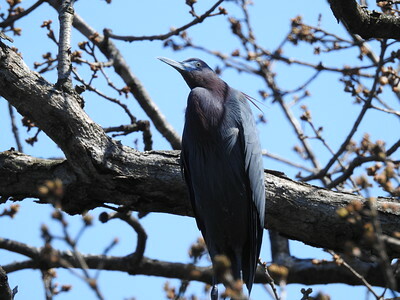 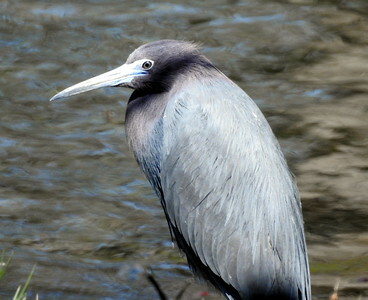 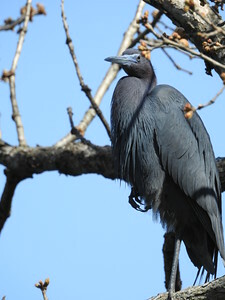 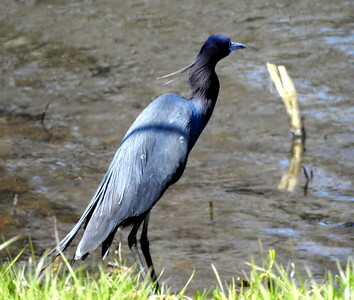 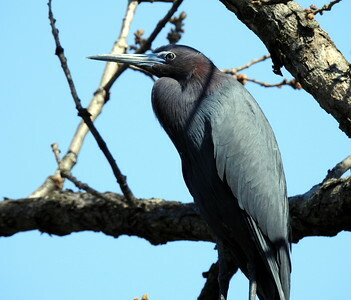 This small-sized, slender heron has a slate-gray body and a purple-blue head and neck. 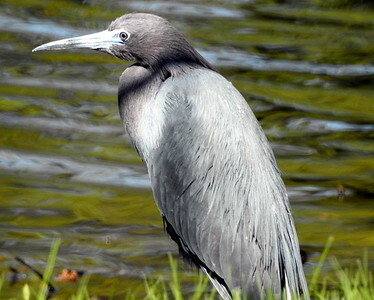 The eyes are yellow and the bill is dark gray with a black tip. 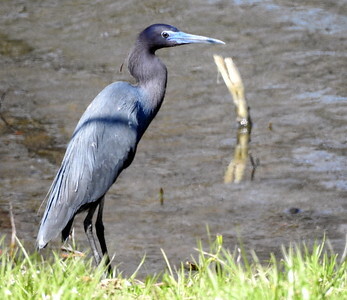 The legs and feet are dark. 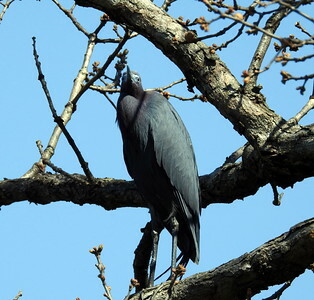 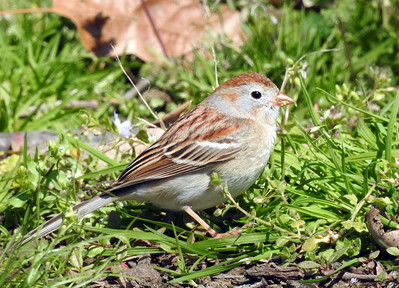 It feeds on small crustaceans, invertebrates and large insects. 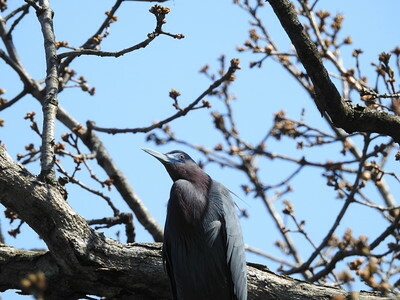 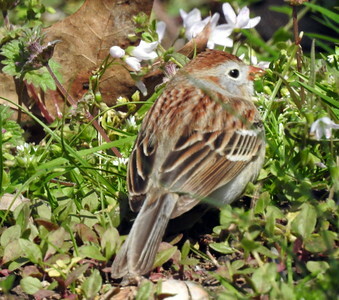 It has a direct flight with steady quick wing beats. 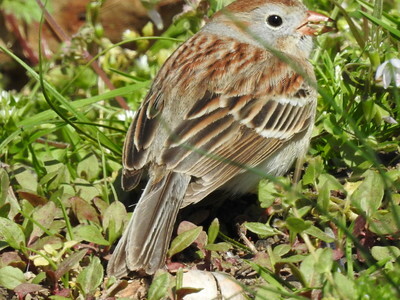 The sexes are similar. 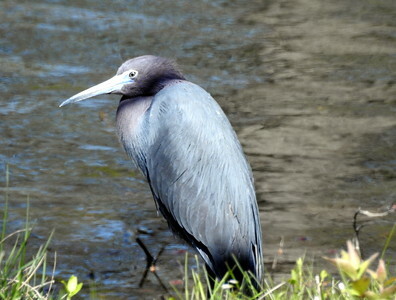 Little Blue Heron The photos do not really show the beautiful colors of this heron. 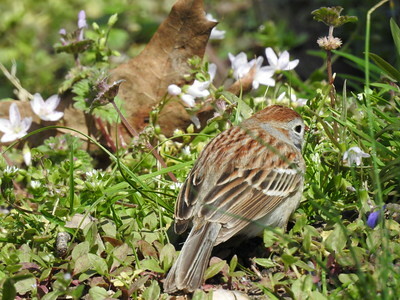 He was jaw-dropping beautiful, and he showed differently in different light.